McKinney’s Traffic Creates McKinney Car Accidents? 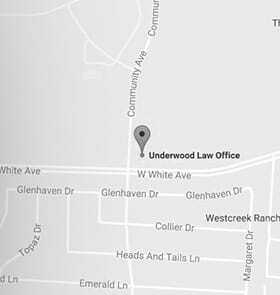 You are here:Home>Texas Car Accident Lawyer>McKinney’s Traffic Creates McKinney Car Accidents? McKinney’s Master Thoroughfare Plan poses challenges that at first glance are not obvious. The plan’s layout seems to encourage an influx of traffic and more people-a seemingly benign goal. The problem is that many key roads are not going to be widened. Bottleneck City, here we come? Traffic congestion causes more Texas car accidents and therefore more injuries. Clutter on the road also means delays-more vehicles on the roads for longer due to gridlock and slow traffic. This congestion not only lengthens commutes, but it also increases the wear and tear on vehicles and increases fuel consumption. Even a car idling in traffic burns fuel. The Master Thoroughfare Plan does show potential areas where new roads will be built, but critics say it misses the mark. They say it could result in more Texas car accidents. They would rather the government widen certain existing roads that are not even part of the plan. Meanwhile, others worry about the impact expansion will have on local businesses and even overall way of life. McKinney Mayor, Brian Loughmiller, admits that “People will be impacted one way or another,” and says the true engineering challenge has to do with minimizing the downside. Need insight after an auto accident in McKinney? Our experienced personal injury lawyers can help you obtain fair compensation for damages. Get in touch with the team now at 844.UNDERWOOD. That’s 844.863.3796. TOLL FREE! How to Select a Car Accident Lawyer? What Do I Do if the Driver Who Hit Me Was High on Prescription Medication? Unusual Driving Situations (Part 2)?